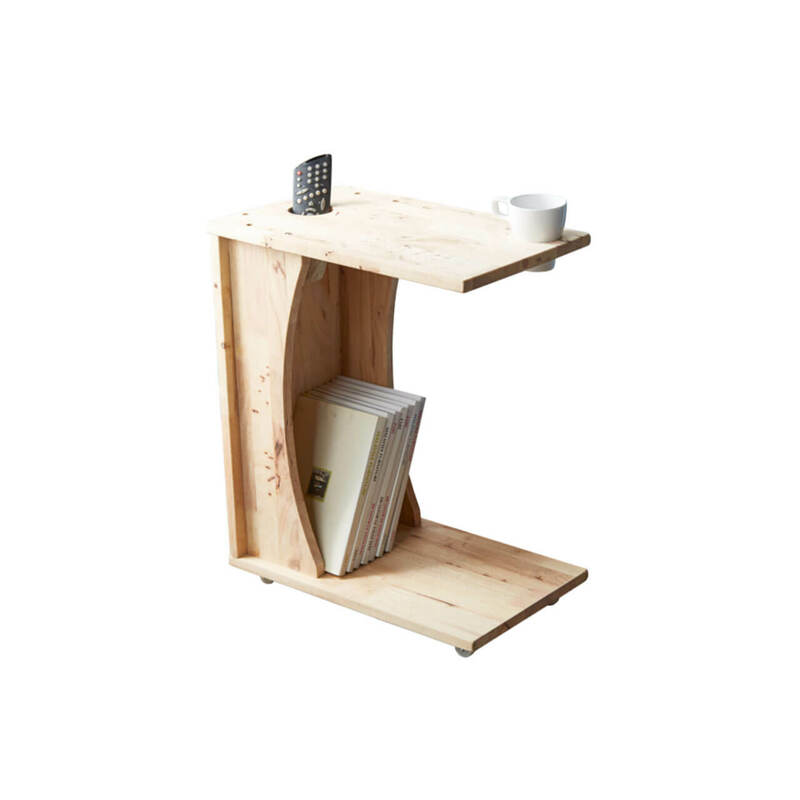 The Talbot side table has wheel legs, allowing it to be freely movable. The top shelf also has holes for cups and pen dispensers, and its shape allows it to seamlessly fit sofas. 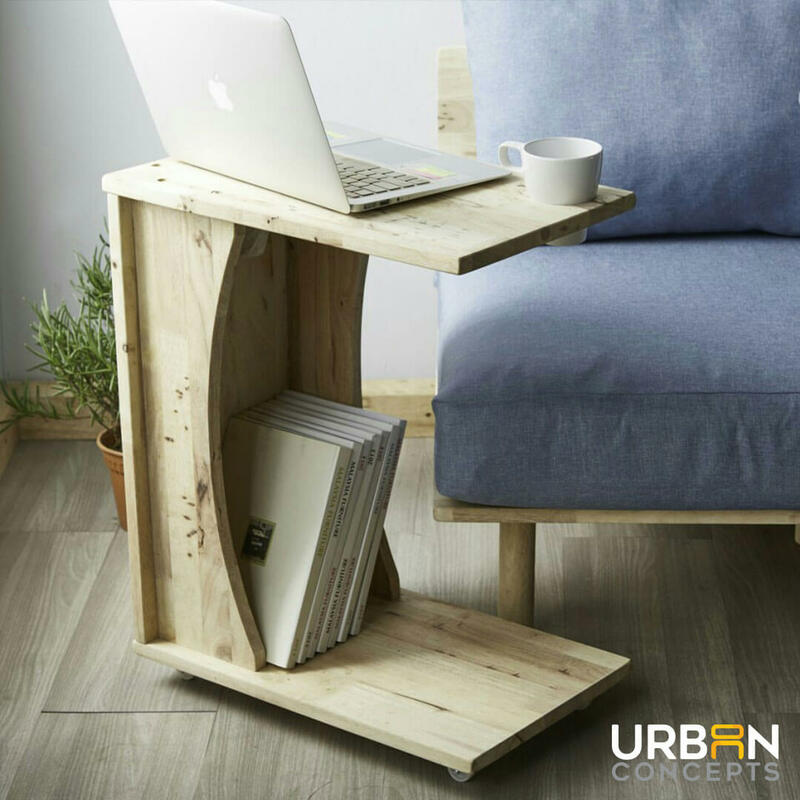 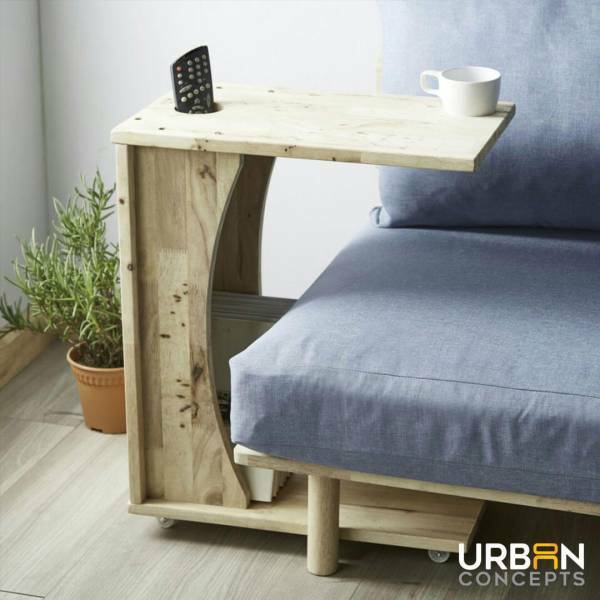 This item is a great addition to busy homes or small offices as they conveniently transform one side of a couch into a table.